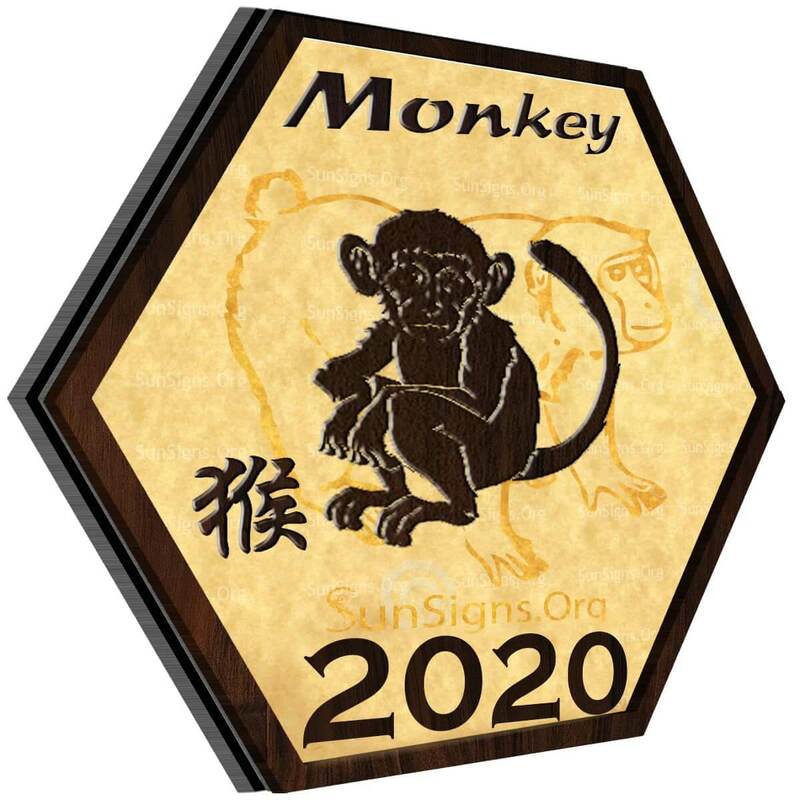 Home » Chinese Horoscopes 2020 » Monkey Horoscope 2020 – Free Astrology Predictions! Monkey Horoscope 2020 – Free Astrology Predictions! Monkey horoscope 2020 predicts that this year is a year for new beginnings and plenty of changes. You are likely to be more optimistic about what the future has to offer. You will want to bring change into your life and take many of the opportunities that come your way. Also, you are sure to develop as a person in this year of the white metal rat, and your life will be filled with more excitement than it has been in previous years. Many people know that monkeys are highly intelligent creatures. It’s no surprise the people who are born in the year of the monkey are also known for being intelligent. The people who are born in the year of the monkey are also said to have many other traits that are related to that of real-life monkeys. Some of these traits include being fun-loving, active, optimistic, hedonistic, impulsive, and friendly. All of these traits help to define their personality and their horoscope for 2020. Chinese 2020 zodiac predicts that the monkeys are likely to feel like they have more control over their relationships in 2020. This is a great enhancement in your own life. With your new sense of having more control, you will also feel more confident in your relationships. Will the monkey get married in 2020? No matter what kind of relationship you are in this year, you should try to improve your communication skills. Don’t be a push-over either. Tell people what is on your mind and make sure that they take you seriously. All of these things are sure to improve the relationships that you have with others, as well as how you feel about yourself. This personality change may not be easy for the Chinese monkey. But it is sure to pay off in the short and long run if you can master the art of gentle assertiveness. You want to be able to get what you want, but you don’t want to look like a jerk either. Finding a good middle-zone for this is a great way to get the best out of your social interactions with anyone: romantic partners, friends, and even family members. Having a baby in 2020 too shall be your decision. Monkey 2020 predictions suggest you will feel more spontaneous at your workplace this year. This could benefit you, or it could get you into trouble. Make sure that you use your creativity when it is wanted, not when it just makes things harder. Make sure that you ask your superior before you try something new to make sure that it won’t affect you negatively later. Also, try to maintain a good relationship with your superior and your co-workers in this 2020 year of the rat. This will make your career work much more smoothly than if you were making enemies around the office. Try to balance your work and home life. Don’t bring your family to the office, and don’t bring your work home with you unless it is of extreme importance. While you are at home, it is a great idea to try to work on your hobbies that also make you money. Doing little things to make a few more dollars during the day can do a lot to make the monkey’s wallet fuller in this 2020 Chinese new year. Monkey, your health should be relatively stable this year as well. If you have any pre-existing conditions, then treat these before you do anything else. If you are already healthy, then try to improve yourself in small ways: try dieting, working out more, or just getting some more sleep. All of these small things can have a big impact on your health. January 2020 is a time when you will have to overcome problems that have been carried forward from the previous months. February 2020 is better spent learning and improving new skills rather than starting a new venture. March 2020 will come with its share of lucky chances. Be it love or career, be sure to make the most out of it. April 2020 is a period when you need to be careful of untoward happenings. Be prepared to face a few challenges. May 2020 is when you need to stay prepared for the worst though it might not be necessary. June 2020 is a month of good and positive changes. Just keep working hard, and everything will turn out well. July 2020 is when the Chinese monkey sign needs to be on the front foot. You need to take the initiative to go after your goals. August 2020 is a month when you might be upset with what people are talking about you. This is not a month to worry about such petty issues. September 2020 will come with its share of happiness and challenges. But you are not one to stop and will forge ahead. October 2020 is a month for love and romance. Improve your relations with your spouse, children, and parents. November 2020 is a blissful month for you in love, career, and finances. You can just put up your feet and relax. December 2020 is a period of confusion and misunderstandings. Better to take it slow and easy. 2020 yearly Feng Shui predictions for the monkey indicates a positive and favorable year when it comes to profession and career. This is a very hit or miss year. It all depends on how you act. Much of your year will depend on doing things at the right time. Being in the wrong place at the wrong time will cause you more than one problem this year. If you work on your communication skills, then you should be able to talk your way out of most problems and talk your way into many great new opportunities. Monkey horoscope 2020 asks you to be optimistic about what this year of the white metal rat has in store for you; it is nearly bound to be a great year! Previous Sheep Horoscope 2020 – Free Astrology Predictions! Next Rooster Horoscope 2020 – Free Astrology Predictions!